Jaime Cabarrus whoops it up with a teammate after helping his team dethrone the Ateneo Blue Eaglets. 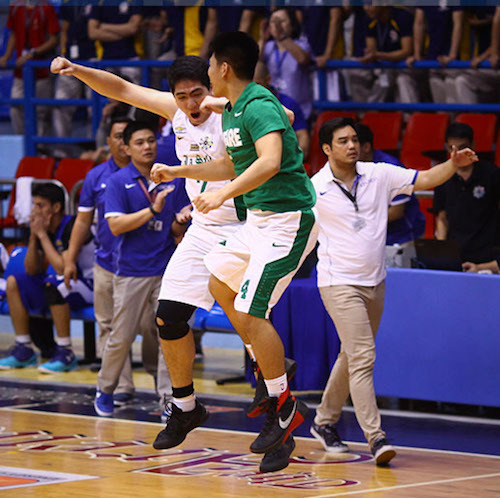 The De La Salle-Zobel Junior Archers made team history by sweeping the Ateneo Blue Eaglets for the first time ever, became responsible for dethroning the defending champs, and, more importantly, punched their tickets to the Season 78 Juniors Finals against the seemingly indomitable NU Bullpups. The following game recap was adapted from Ma'am Tessa Jazmines. DLSZ rode on the heroics of reserve slotman Jaime Cabarrus, who filled in for the fouled out MR Romero late in the game. Cabarrus, a recruit from PAREF-Southridge, nailed a keyhole jumper that cooled down the Blue Eaglets' fightback, giving the Junior Archers a 69-63 cushion with 1:02 remaining. Teh 6’2 graduating senior then drained two charities that sealed it for De La Salle-Zobel, 72-63, with 38 seconds left. 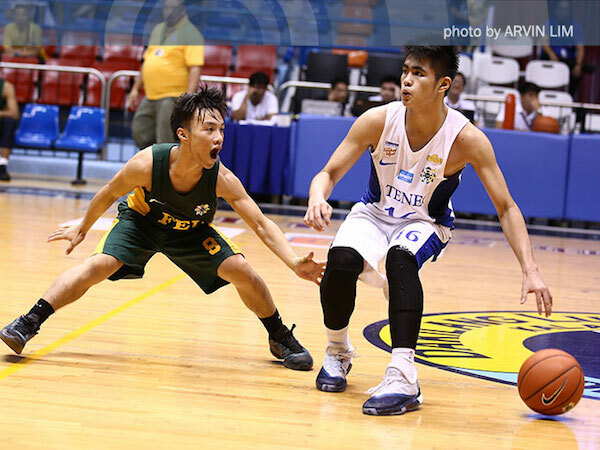 The Junior Archers will take on the thrice-to-beat Bullpups in the title series that starts on Friday at the San Juan venue. NU, starring ace guard John Lloyd Clemente and double-double machine Justine Baltazar, swept the double-round eliminations to jump straight in the championship round. This is De La Salle-Zobel’s first Finals appearance since bowing to Kiefer Ravena-led Ateneo in 2009. The Junior Archers last won the crown in 2007 when they were bannered by Joshua Webb, while the Bullpups last bagged the title in Season 76 with Hubert Cani, Mark Dyke, and JP Cauilan leading the way. "Aljun (Melecio) fouled out, Romero fouled out, and we have guys (who) stepped up. Dapat nag-break down na kami when Aljun got into foul trouble pero they just don't want to lose," said Junior Archers mentor Boris Aldeguer. Homegrown talent Brent Paraiso had a double-double effort of 15 points and 13 rebounds in a great performance, while soon-to-be crowned MVP Melecio added 14 points, six rebounds, and four assists before fouling out in the final 2:10. Miguel Fortuna also stepped up with 12 points and five assists for the Alabang-based squad. Batang Gilas stalwart Gian Mamuyac and BJ Andrade finished with 16 points apiece for Ateneo, while sophomore playmaker SJ Belangel added 15 points. Gian Mamuyac thanks the crowd after playing his last game for the Eaglets. The Eaglets will lose a lot of key players after this season. Season 77 Finals MVP Jolo Mendoza, who had 11 points in his final game as an Eaglet, is set to move up to the Seniors’ Division along with Mamuyac, while Andrade, Shaun Ildefonso, Justin Eustaquio, Alfonso Rosales, Jossier Hassan, Zach Bernardo, Sandro Soriano, and Jaime David are all graduating as well. 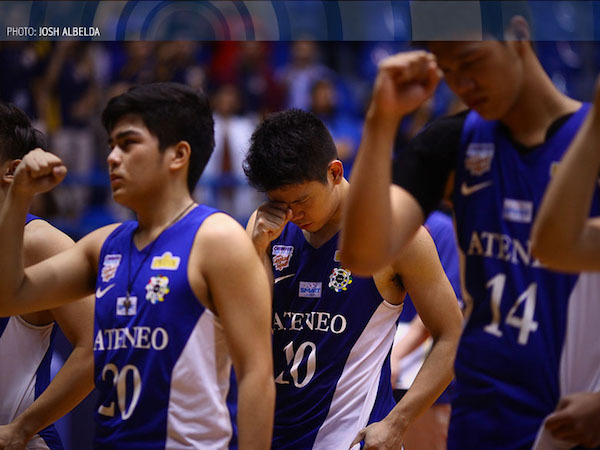 Jolo Mendoza bows his head as the Ateneo Alma Mater Song is sung. Coach Joe Silva is expected to lean on his sophomore core made up of Belangel, Jason Credo, RV Berjay, and Dave Ildefonso for next season. 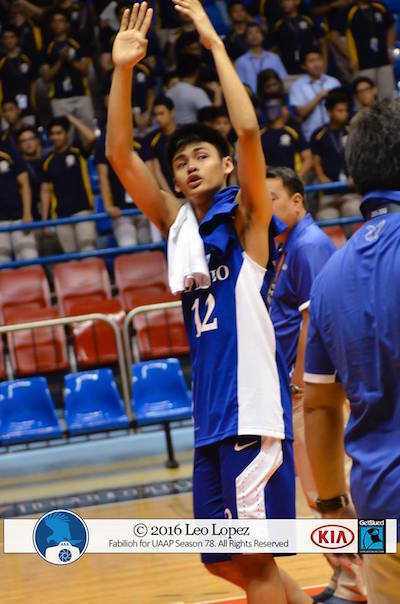 Bacolod recruit SJ Belangel is tagged to be the Eaglets' main man in the next two seasons. 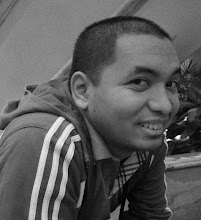 On the other end, coach Boris will lose Melecio, Cabarrus, Romero, and Paraiso among others. Marco Sario and Jan Sobrevega are tagged as next season’s leaders for the Junior Archers.